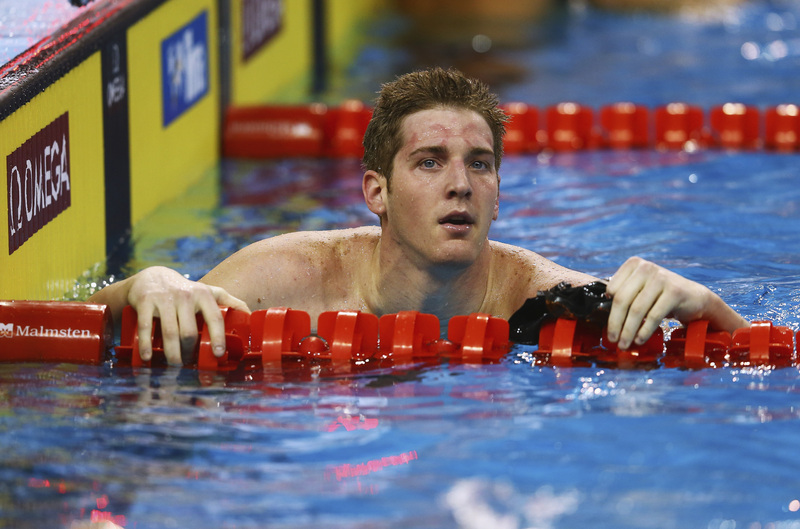 The controversial and downright bizarre case of the alleged robbery of U.S. Olympic swimmer Ryan Lochte and his fellow swimmers Gunnar Bentz, James Conger, and Jimmy Feigen has finally come to an end. And the latter name in that list is now reportedly going to pay a sizable chunk of cash to buy his way out. But that raises an obvious question: Why did Feigen pay for the Rio case, while everyone else involved got away without having to bleed their wallets? Specifically, as NBC News reported, Feigen struck a deal to donate nearly $11,000 to a children's sports academy in Brazil in order to be free to return to the United States, an arrangement that none of the other swimmers implicated in the scandal received. Lochte allegedly devised an elaborate lie about being held-up by an armed robber to cover up one of the swimmers' vandalism of a gas station bathroom. This was clearly beyond the reach of the Brazilian authorities from the start, as Lochte had already flown back to America when the news first broke and officials began to investigate. Bentz and Conger, on the other hand, were released on Friday, Aug. 19, after giving statements to the Rio police acknowledging that Lochte's public account of the story was false. After a long deliberation, this agreement was reached … he will donate 35,000 real to an institute, and with that the case is resolved. After this donation is done, his passport will be given back to him, and he will be free to return home. The answer might lie in what Bentz and Conger did prior to leaving Rio, after the pair was actually pulled off a plane they'd boarded to return home. They testified in the robbery probe, and were subsequently allowed to leave the country. In Feigen's case, there's been no reporting as to whether he also set the record straight and turned on Lochte's story, but the donation deal seems to send a pretty clear message: He didn't have his passport, and he needed to get it back somehow. Suffice to say, the country of Brazil and city of Rio probably weren't feeling very fond of Feigen over the last few days, and he likely just wanted to get back home. Rest assured, if you were in a similar situation and had enough money to casually dish out nearly $11,000, you'd probably make the same call. And so, regardless of what you want to call it ― some on social media have characterized it as a bribe, in light of Brazil's storied history of police corruption ― but the important thing is he secured his passport and his release, bringing all this to an end. Of course, Lochte probably shouldn't take any summer trips to Brazil any time soon; skipping town after fabricating a high-profile story that plays on stereotypes about violent crime and robbery in Rio is not the sort of thing that'll endear him to anyone.